If you are looking for the best electric guitar strings for the very best sound possible, you have come to the right place. The team here at Music Critic, have tried and tested each brand and type of metal strings available to bring you a complete review. Electric guitar strings are measured in gauges or thickness. Lightest marked from 0.008 to the heaviest choice of .56, guitarists have a variety of options to pick from. What should be considered when choosing guitar strings? Now let us see some characteristics of heavy and light electric guitar strings. Bending notes is considered as an easy routine. As mentioned above, users get a wide variety to choose from but what if you are a newbie in this very game? In this write-up, we have included the reviews of top 10 electric guitar cords so that everyone feels like home. Core wire made up of tin plated high carbon steel hex wire for utmost durability. Plain electric guitar cords with series of lock twists for eliminating the slippery factor. Balanced tone with good consistency and intonation, thanks to nickel plated wound electric guitar cords. Excellent durability, all credits go to tin plated high carbon steel hex wire. Plain guitar chords with series of lock twists for securing the wire around the ball end. Balanced tone with superb consistency and intonation achieved by wound guitar chords. The top choice of strings for people who play classic rock, jazz or blue. Same vintage tone with present technologies. Produce classic, round and full tones. Since 1962 Ernie Ball is the world’s leading manufacturer of electric guitar string and accessories. From Paul McCartney to Jimmy Page many world-class players have chosen Ernie Ball’s string to innovate. Regular Slinky Nickel Wound set electric guitar cords by Ernie Ball promises some heights. The base recipe behind regular slinky electric guitar strings is that balanced rich harmonics and signature slinky feel. Roots of regular slinky guitar strings were crafted by Ernie Ball itself for shaping up the rock and roll game. For achieving a balanced tone regular slinky electric guitar cords by Ernie Ball consist of nickel plate steel which is wrapped around a tin plate of high-carbon steel core which allows this set of string to accompany all types of guitar and playing style. Ernie Ball’s regular slinky electric guitar strings feature a lock twist for securing the wire around the ball. Furthermore, this prevents slippage resulting in a long-lasting string with minimal probability of breakage. For attaining the most classic balanced tone with elite consistency and rise/fall the nickel wound slinky cords are precision wound with nickel plated steel wrap wire. Similarly, to gain the highest level of durability the core is made up of tin plated high carbon steel hex wire so you don’t have to worry while launching those hard beats. Why We Liked It - Improving the string game since 1962, Ernie Ball has some serious guitar strings to create outrageous music. Durable core, lock twists for securing ends and nickel plated wound cords add up to create the hall of fame regular slinky by Ernie Ball’s. Legendary Tone, Legendary Players. Ernie Ball is all about that prime quality electric guitar cords they make so guitarists can design unforgettable tunes. With the aim of providing guitarists with affordable yet highest quality electric guitar strings, Ernie Ball is evolving the game for over 50 years. 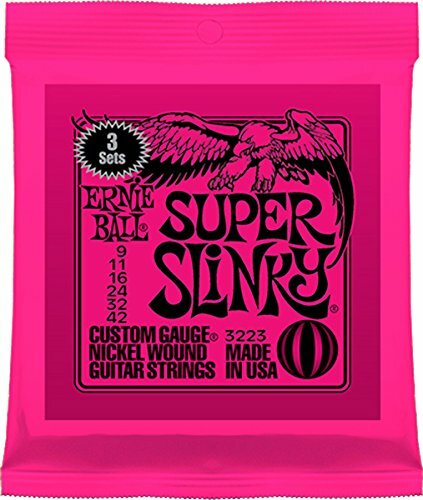 Now coming to Super Slinky guitar strings by Ernie Ball, for over 50 years these electric guitar cords have been topping the chart of favorite strings across the globe. From Green Day to Slash every professional artist considers super slinky guitar cords for creating something out of this world. The ingredients of super slinky electric guitar cords are simple and effective, with specific gauges and core to wrap ratios users get balanced rich harmonics and that iconic slinky touch. The base aim of Ernie Ball back in 1962 ways to shape the sound of rock and roll to a whole new level with super slinky guitar chords. On the whole, the super slinky electric guitar strings consist of nickel plated steel wrapped around a tin plated high carbon steel core that promises a balanced tone in all playing styles and guitar types. Super Slinky guitar cords feature a series of lock twists to make sure that the wire around the ball end is secure. Furthermore, this prevents slippage and ensure that guitar cords will last long along with the surety of minimal breakage. Balanced tone with superb highs and lows in every playing style is hard to achieve. Well, say thanks to the nickel wound slinky guitar strings that are precision wound with nickel plated steel wire that allows you to reach supreme consistency. Guitar cords that break often are of no use as one can’t afford to change guitar strings all the time. Well, that is not the case with super slinky electric guitar cords as the core is made up of tin plated high carbon steel hex wire that provides extreme durability. Why We Liked It - Creating a class of its own, for over 50 years Ernie Ball is all about those prime electric guitar strings. With tin plated high carbon steel hex wire for extreme durability, lock twists for securing wire around the ball end and wound guitar cords for balanced tone - super slinky wound sets for electric guitars are perfect to do something out of the box. The soul mission of Fender is to exceed expectations of music innovators worldwide. By unlocking the doors of the unknown in music industry Fender products are a mash-up of premium-ness and budget-savviness. With hard work of over 50 years, Fender is now the world’s foremost manufacturer of electric guitar chords, guitars, and many more instruments. Greatest musicians have been trusting Fender since 1946. Design, innovation, and commitment to quality have made users go bonkers over Fender instruments. The same determination reflects the string department of Fender. 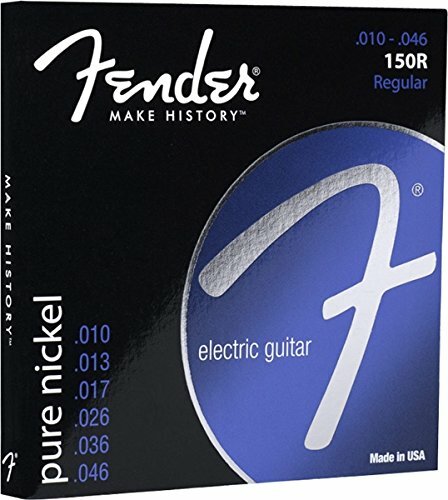 Electric guitar strings made by Fender are engineered in the United States of America. Precision the details and combining the finest materials ensure that every user tastes the best feeling and greatest sounding string. Manufacturing world-class instruments is an art that Fender excels in. No matter what you do with the guitar if the guitar cords are not appropriate the result will be absurd. So choosing the perfect one for your needs need a little helping hand. You may also like to read the top soft and hard cases right here. 150R Pure Nickel Electric Guitar cords by Fender is the perfect match for people who are into blues, jazz and classic rock. State of the art quality of wire and amazing manufacturing makes sure that your guitar produces classic, round and full tones. Why We Liked It - Beating the hurdles of sound Fender is amongst the top string manufacturing companies. The ability to produce classic, round or full tones and providing the same vintage sound quality makes 150R Pure Nickel Electric Guitar Strings the new king of classic rock. Ernie Ball is making history since the small age of music. The aim of Ernie Ball was to provide the highest quality electric guitar cords under an affordable price range. Trying different experiments Ernie Ball is providing musicians with the top guitar chords. Ernie Ball Super Slinky electric guitar cords are winning hearts of many all around the globe. Many legendary artists believe in super slinky guitar cords for creating something innovative. The set of super slinky guitar strings is made up of specific gauges and core to wrap ratios which result in balanced rich harmonies with that signature slinky feel. The base aim of these super slinky guitar chords was to redefine the experience of rock and roll. The balanced tone in all guitar types and plays is achieved by nickel plated steel wrapped around a tin plated high carbon steel core. Slipping and breaking of guitar strings always threat guitar players to jam under a boundary line, which limits the potential. In super slinky guitar cords, all plain strings feature a series of lock twist that secures the wire around the ball end & prevents slippage and ensures long-lasting cords. Pulling off the rhythm of classic balanced tone sound with supreme consistency in every genre is somehow impossible but super slinky guitar strings have got you covered. Nickel wound slinky guitar cords are precision wound with nickel plated steel wire that helps you to play balanced sound in every guitar types and plays. Even the top-notch guitar strings lack durability but super slinky cords have got it all to make your investment worthwhile. The core is made up of tin plated high carbon steel hex wire that promises a new level of durability. These are also available for 12 string guitars. + Plain cords with a series of lock twists mechanism for securing slippage and breakage. + Excellent durability level, thanking the core which is made up of tin plated high carbon steel hex wire. + Wound strings for balanced tone. Why We Liked It - Super Slinky strings promise a whole new level of experience. Supreme durability wound chords and series of lock twist makes super slinky chords one of its kind. Gibson is known for guitars and its accessories. Behind those awesome products blossoming your experience Gibson has a deep history that one should know before being the part of this very organization. The aim of sharing the roots of Gibson is to output the theme that Gibson is capable of doing wonders. With same interest and determination, Gibson is proud to present Brite Wires Electric Guitar Strings that are best for the beginners and experts both. 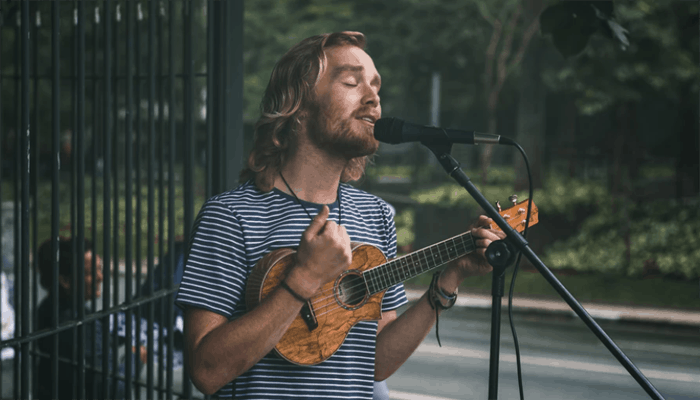 Light electric guitar chords do not mean that you’ll face those awkward breaking moments as strings are solid and well made. “They sound amazing” - is all that we have heard so far for these guitar chords. Nickel plating adds that durability and warmth to your guitar so you don’t have to think every time before jamming hard! Adding these guitar chords to Les Paul or any other guitar makes a win-win situation for guitarists. 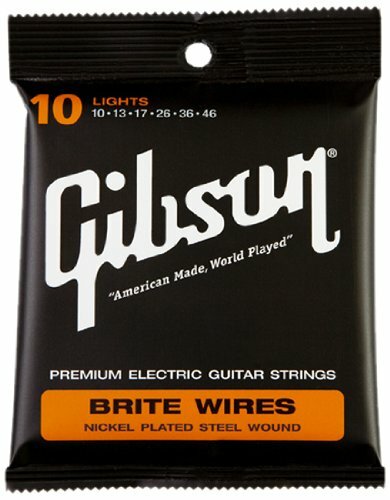 Providing the utmost quality under an affordable range defines the brite wires electric guitar strings by Gibson. Why We Liked It - Along with designing popular guitars, Gibson overhauls the string game as well. With nickel plating, Swedish steel hex core and bright crisp attack Brite Wires Electric Guitar Strings are capable of loads. D’Addario is a manufacturer of guitar chords currently situated in the New York. 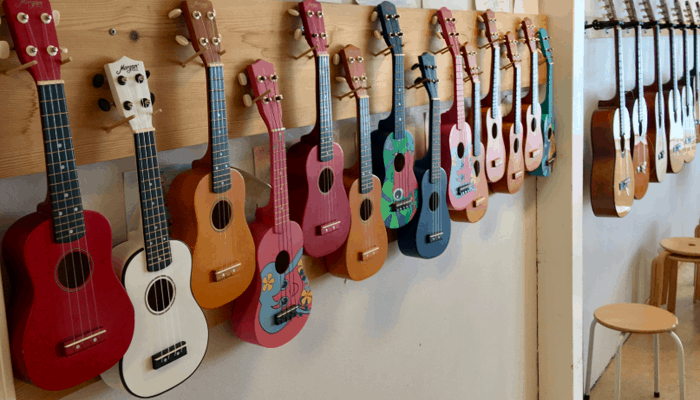 The desire of string making is shining in this company as it is a family generated business which means that the D’Addario string owner is covered by the passionates themselves. 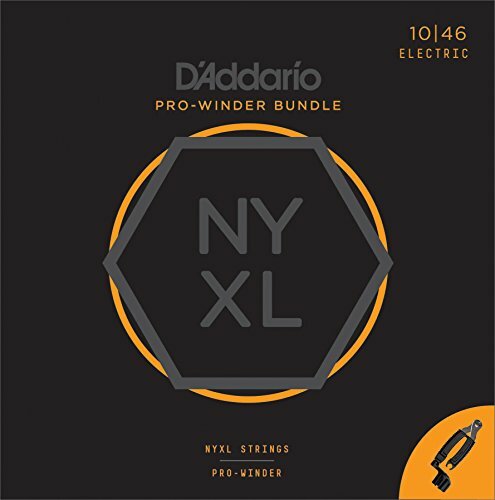 NYXL1046 by D’Addario are designed with popular string gauges for comfortable play with an ideal electric tone. 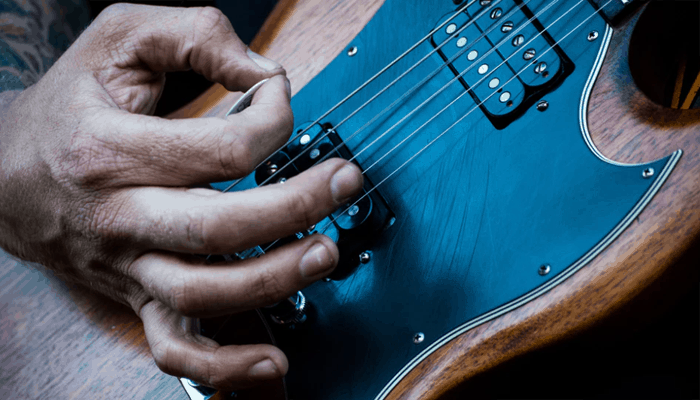 These electric guitar chords promise to bend farther, sound louder and stay in better tune when compared to other competitors. Playing fearlessly is somehow difficult but now things are changed. This newly engineered, break-resistant, high-carbon steel core, and plain steel alloy delivers a new level of freedom, power, and control. These electric guitar chords provide more strength and up to 131% greater tuning stability, thanks to the completely reinvented wire drawing process added with a revolutionary “fusion twist” process for the plain steels. Why We Liked It - D’Addario is knocking off every contender that title itself as the best string manufacturer. Better and faster tuning process, High carbon steel alloy for playing fearlessly and wound guitar strings for enhanced mid-range frequency response couples up with each other to output the tone of the era. DR Strings are the only popular group known for the manufacturing of Hand-Made chords. This company believes that Hand-Made strings surpass the quality of machine made chords. With same acceptance, DR Strings are making Hand-Made strings for people who want to sound original and good. “There are certain things that you can’t teach the machine” with this motto DR Strings make the top Hand-Made chords so one can feel the difference in between the invention and nature. 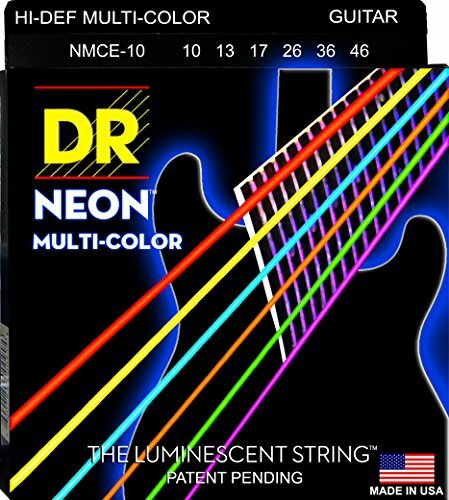 NMCE-10 Neon Electric Strings by DR Strings are super bright color coated strings that are bound to sound clear, powerful and musical. Mix neon colors give out a unique impression with the same remarkable sound. Speaking more about the neon colors, they are super bright in daylight and under artificial lighting, whereas 100% black light reactive and glow strongly under UV lighting. Neon colors last longer like a typically coated string but with a greater quality of sound. Why We Liked It - It doesn't matter if you are taking on the stage, jamming at home or learning to play guitar these guitar strings are built to last longer, sound and look better than any other competitors. With six different colors, Neon K3 coating and 4-times stronger than uncoated guitar strings one can trust NMCE-10 to rock any stage. Elixir Strings was born back in 1995 with the idea of push-pull cables. As the research team was coating the guitar strings with polytetrafluoroethylene they worked quite well as cables but were worse for a guitar’s string. 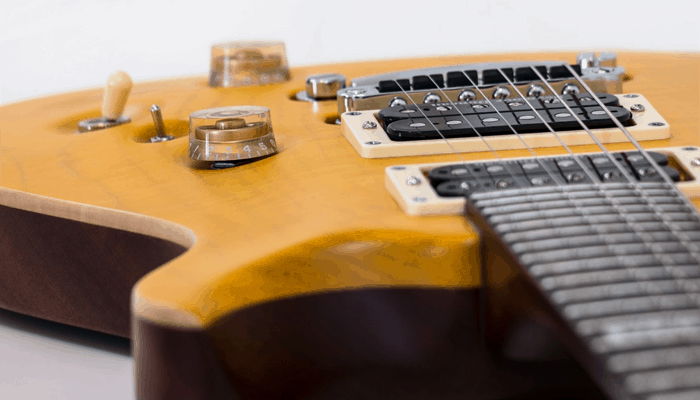 Some people in the company who was into guitars thought of altering the coating and tinker with the process so that the guitar strings would sound greater. 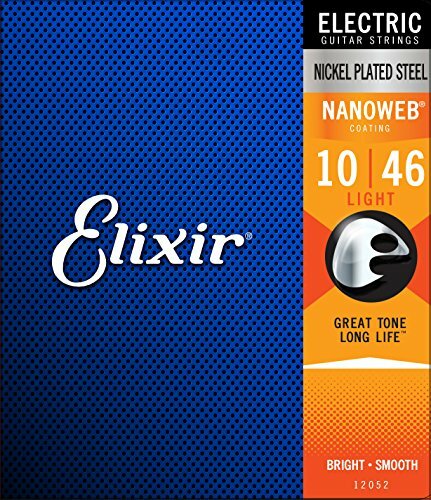 After analyzing and studying various tones and measuring frequencies Elixir Guitar Strings came up to a conclusion of combining original POLYWEB coating and Ultra-thin NANOWEB strings for every type of guitar. Since developing the new league of POLYWEB coating and Ultra-thin NANOWEB strings the reason behind making premium strings of Elixir Strings is simple, they want you to have more quality playing time. Electric Guitar Strings with NANOWEB Coating always feel right in every genre. Those shiny looking guitar strings have a lot more hidden that a human eye can't see. 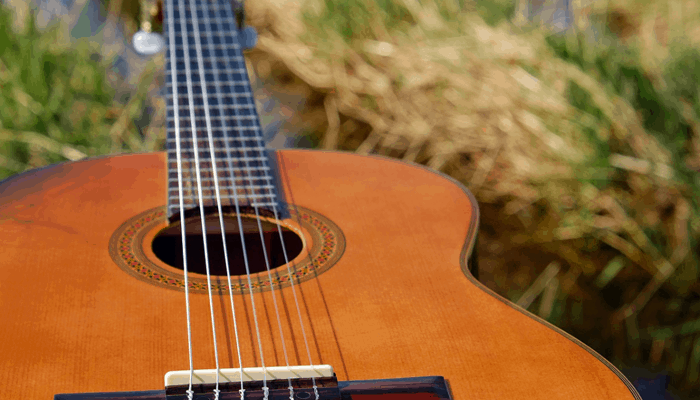 Sweat, dirt, and pollution can damage your guitar chords. Well with Elixir Strings you are totally covered as you are getting the world-class protection that is crafted to endure. Although POLYWEB coating was a blast from the past some players wanted that traditional feel. As a response to those hard-working players, NANOWEB coating was engineered. This Ultra-thin coating output a brighter yet crispier tone while offering the same promise of tone-life protection like POLYWEB. + Constructed with nickel-plated steel wrap wire. + Known for its bright, vibrant presence and dynamic punch. 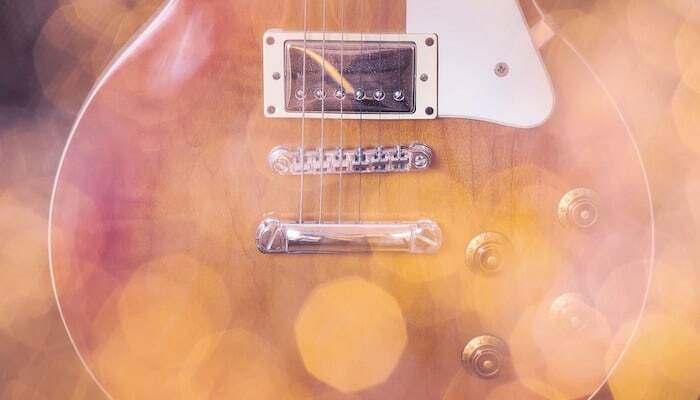 Why We Liked It - NANOWEB coating, nickel-plated steel wrap wire, and extreme protection make Elixir Guitar Strings are one of the posh players in the league. Elixir Guitar Strings are reinventing the game of coated strings since 1997. With one simple aim of providing you with the quality playing time, Elixir Strings has earned a sweet-spot amongst many professionals. Sessions after sessions Elixir electric guitar chords have never disappointed the users with those breakage moments. Experienced players all around the world trust Elixir Strings for corrosion-defying strings to keep their tone longer than any so-called top strings. With the same perspective and determination, electric guitar chords with NANOWEB Coating by Elixir Strings is brought into the act. Coating the electric guitar chords just from the outside is simply cheap. Unlike other brands, these guitar chords are coated from both inside and outside. While protecting the outer string surface from dust and stuff, inside coating protect gaps between the winding where common tone-deadening gunk typically builds up. This results in longer tone than any other brand’s string, coated or uncoated. Guitar Strings that don’t have a wrap wire is now also covered by Elixir Strings. With Anti-Rust Plating even the plain strings knock off the bad elements. 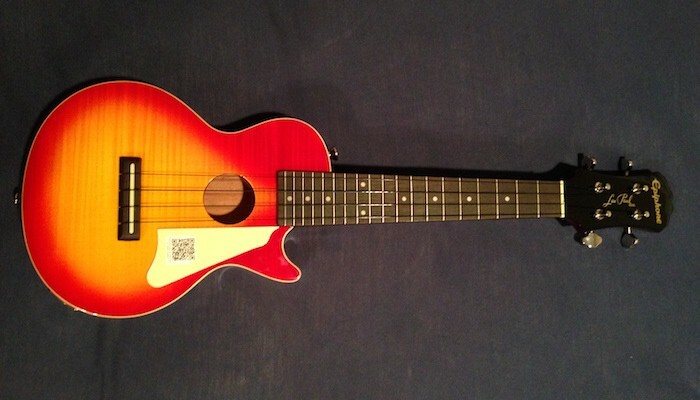 This ensures that you really have more jamming time! + Chords are now coated from inside as well. + Anti-Rust plating saves plain strings from bad elements. 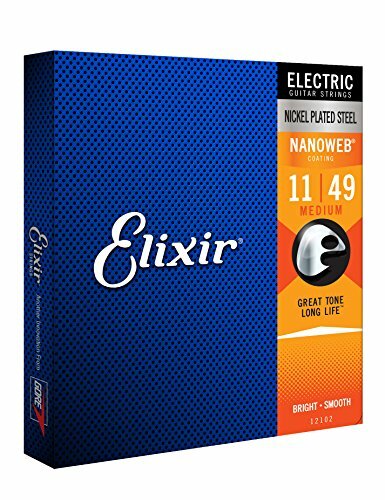 Why We Liked It - Electric guitar strings with NANOWEB Coating by Elixir Strings are just on another level for providing you with the best. With NANOWEB coating, anti-rust playing and full covered strings, you can create history. Family power can reach the utmost level of anything. Since 1905 D’Addario is into strong business spreading the boundaries of music. Now D’Addario is a well-known string manufacturing company that has earned a lot of respect from the music professionals. In present, it all starts with exclusively engineered and built string winding machines. Combining the most advanced computer controlled winding technology and stringent incoming wire inspection outputs sets after sets. EXL110-10P by D’Addario are created to set a special link in between you and the guitar. The long lasting and distinctive tone is achieved by XL’s precision wound with highly magnetic nickel-plated steel so that one can set a whole new example. These guitar strings are constructed with round wound style as it is the most popular yet comfortable to all. Similarly, for achieving a brighter tone EXL110-10P use industry standard XL nickel-plated steel that comes in handy with almost every genre playing style. 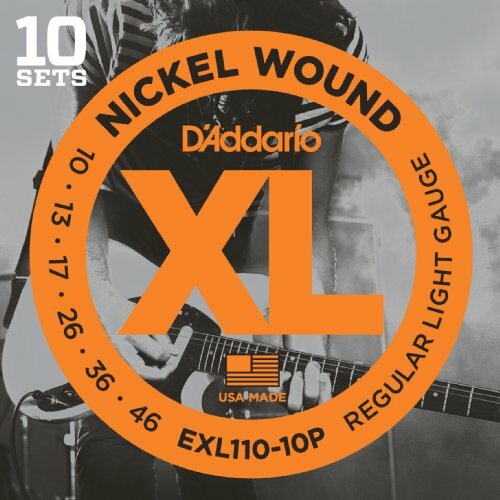 For ensuring the tightest wrap and longer-lasting strings D’Addario EXL110-10p nickel wound strings are wound with nickel-plated steel onto a high carbon six-sided steel alloy. + Round Wound with nickel-plated steel for distinctive bright tone. + Made with the highest quality. + D’Addario’s top-selling electric guitar strings. Why We Liked It - EXL110-10P strings are for those that believe in a rich yet bright tone. Round wound pattern, nickel plated steel and highest quality material jots up to make EXL110-10P by D’Addario. This portion consists of the product that combines the top in line with an affordable price range. People with medium price range won’t find any best alternative then this very product listed in our top pick. Ernie Ball aim was to create such guitar strings that can match up with the gear for producing unique tones. For over 50 years this company has worked hard to bring affordable yet best strings to every musician. You have already heard about this product in the reviews above but here is a little more detail. 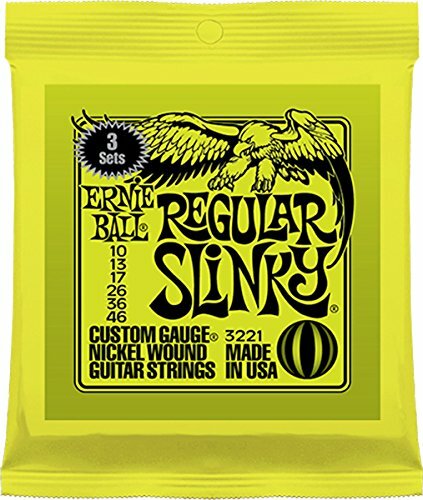 Regular Slinky Strings by Ernie Ball is winning the heart of many professional for over 50 years. From Green Day to the Rolling Stones every legendary player has tasted that legendary tone outputted by the Regular Slinky Strings. Specific gauges and core to wrap ratios are mashed up with each other for providing balanced rich harmonics and that signature slinky feel. The Founder Ernie Ball designed Regular Slinky Strings for mastering the sound of rock n roll. Achieving a balanced tone for all guitar types and playing styles need a hell of innovation. Well with Regular Slinky Strings by Ernie Ball you experience the impossible, say thanks to the nickel wound slinky strings that consist of nickel plated steel wrapped around a tin plated high carbon steel core. These Regular Slinky Guitar Strings feature a series of lock twists on plain strings for securing the wire around the ball end. This prevents slippage and ensures that your strings last longer than ever. Classic balanced tone with supreme consistency is achieved by nickel wound slinky strings that are precision wound with nickel plated steel wire. Furthermore, extreme durability is promised by the core as it is made up of tin plated high carbon steel hex wire so you can jam hard anywhere and anytime. To get the best sound, we recommend using an electric tuner like these. 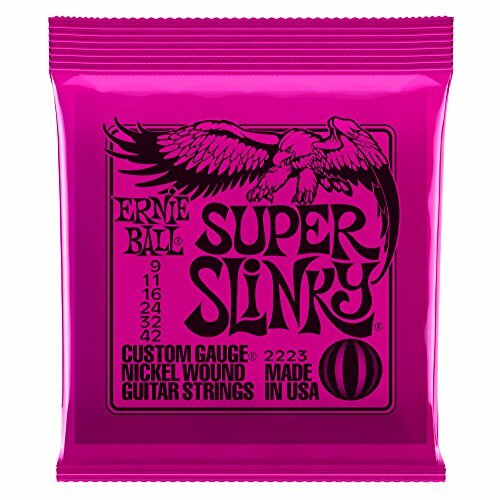 Digging deep inside the heart of many guitarists this regular slinky strings by Ernie Ball holds great potential. Features like lock twists mechanism, wounded strings and tin plated high carbon steel core wire ensure that your investment is gone worthwhile. Breaking the barriers of budget and picking the best reflects the product reviewed in our premium choice section. Although this may put a little pressure on your budget it is definitely worth spending. Innovating the guitar strings is the favorite hobby of Ernie Ball. 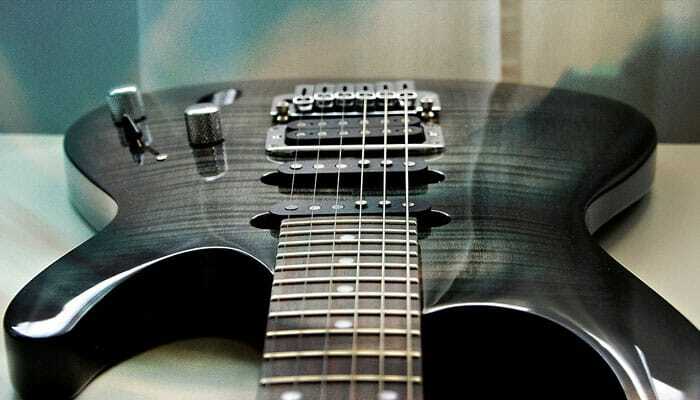 This company aimed to give guitarist with the best electric guitar strings possible under an affordable price range so that one could create something different. You have already heard about this product in the reviews above but here is a little more detail. Since 1962 Legendary players prefer to use Ernie Ball Super Slinky Nickel Wound sets for unlocking the mysterious doors of various tones. From Jimmy Page to Slash many popular musicians love to play these electric guitar strings. The signature recipe of these Super Slinky Nickel Wound sets consist of specific gauges and core to wrap ratios that result in balanced rich harmonics and that typical slinky feel. These guitar strings were specially designed to redefine the experience of rock n roll. The balanced tone in all guitar types and playing styles is achieved by nickel plated steel wrapped around a tin plated high carbon steel core. Slippage and string breaking is causal in other brands but Ernie Ball has got you covered. These guitar string by Ernie Ball are a perfect gift for the one who likes to innovate. Excellent durability wound strings and lock twists mechanism make these guitar strings one in millions. Ever heard of getting best in less? If no then our great value product has got your back for breaking the stereotypes. ou have already heard about this product in the reviews above but here is a little more detail. We hope you like the reviews above. However, we believe that reviews alone can't help much picking up the best product for you. In order to help you in this regard, we have carefully devised our buying guide, which should be used with the reviews. 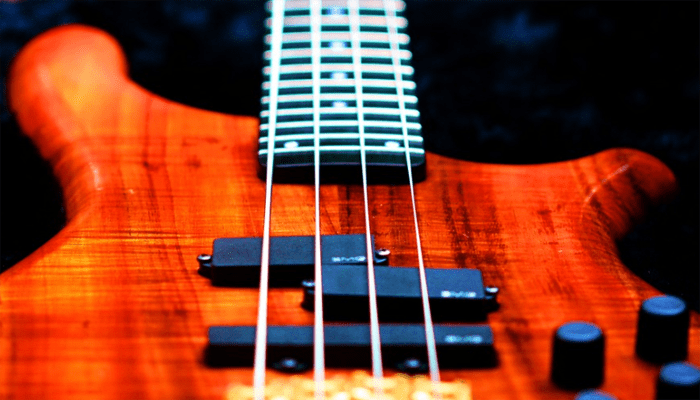 Strings hold immense importance for providing the perfect tone possible. No matter which guitar you invest in if the strings don’t hold up to the highest quality standards the result will remain average. 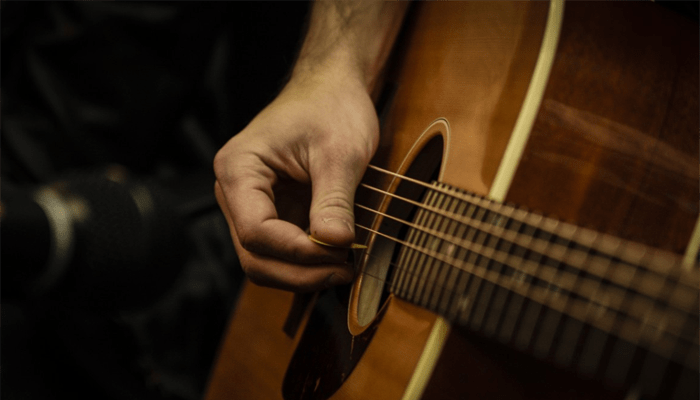 Obviously, you need to consider whether you need acoustic guitar strings (click here to read our guide), or electric! Top quality guitar strings can survive gigs after gigs but some low-quality strings might fall off pretty quick. 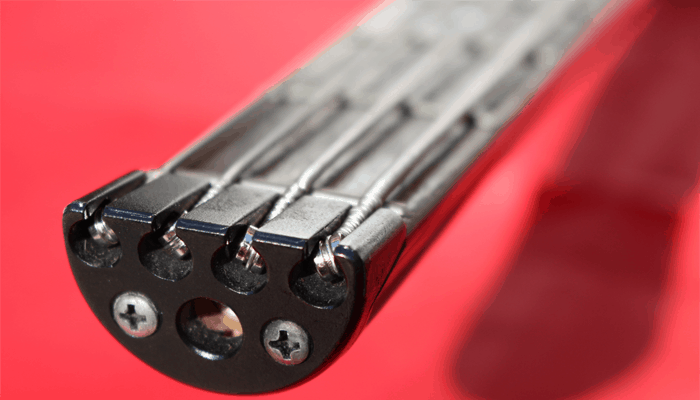 Before getting into the main question one should buy a reliable guitar string that promises extreme durability, whether or not they are on an electric or acoustic guitar - view our review. Now marching towards the question, one should change their guitar strings when they don’t properly tune in or pronounce the required tone. On the whole, one should change their guitar strings when the required output is not achieved.